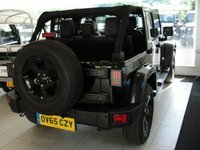 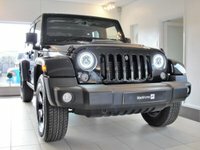 Lovely low mileage Hard Top Wrangler Overland with upgraded LED Headlights with Halo effect daytime running lights, LED rear lights with directional arrows, upgraded front grille with option to swap back to original Jeep grille. 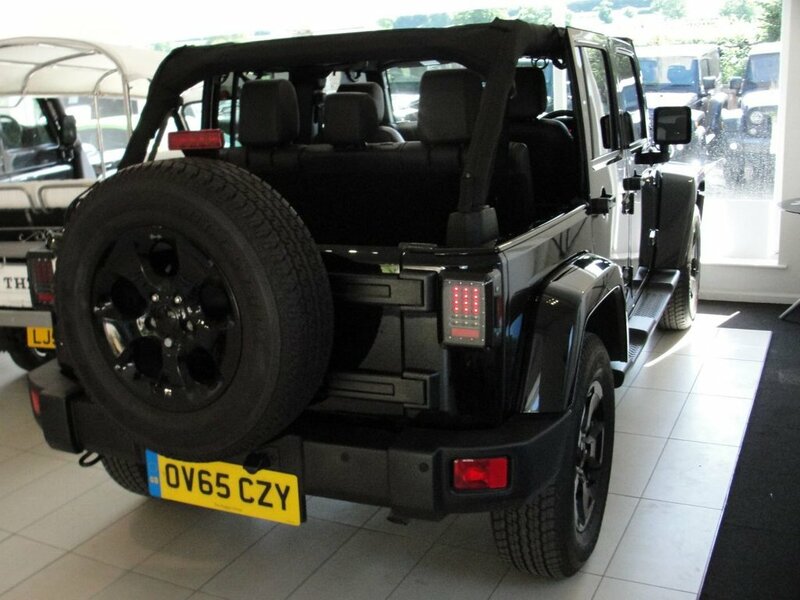 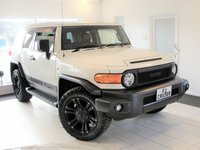 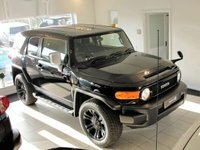 Standard features include HDD Satellite Navigation, Bluetooth, DVD/CD, Black leather upholstery with heated front seats, Cruise Control, multi-function steering wheel, auto-dimming rear view mirror and automatic climate control. 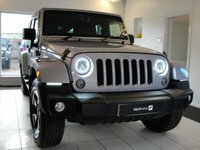 J13EPX registration included. 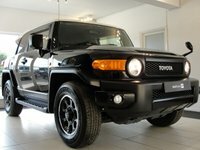 Easy to drive, reliable, great fun and cool car. 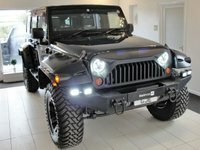 Lovely low mileage Hard Top Wrangler Overland with upgraded LED Headlights with Halo effect daytime running lights, LED rear lights with directional arrows, upgraded front grille with option to swap back to original Jeep grille. 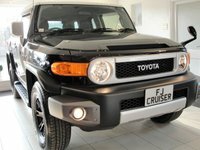 Standard features include HDD Satellite Navigation, Bluetooth, DVD/CD, Black leather upholstery with heated front seats, Cruise Control, multi-function steering wheel, auto-dimming rear view mirror and automatic climate control. 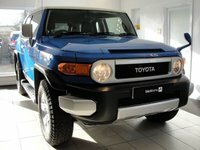 Two owners from new and regularly serviced with RAC Warranty included and 12 months RAC Assist.